This sign is for Not Spitting on the Floor. The sign’s colors are red and white. 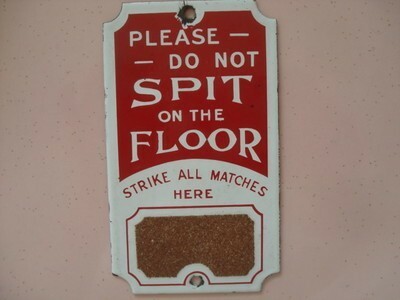 The text on the sign reads: Please do not spit on the floor strike all matches here. The sign shows text at the top and the match strike at the bottom.